Why can't things ever be straightforward? Flopsy Girl said, Dandy, I don't feel very well. I have a tummy ache, and although I'm eating, I don't want as much, and I'm not poohing as I should. I hope that the 2-foots notice and take me to see Auntie Francis (the best bunny vet in the world). I hope so too. I couldn't stand it if anything happened to my Flopsy Girl. 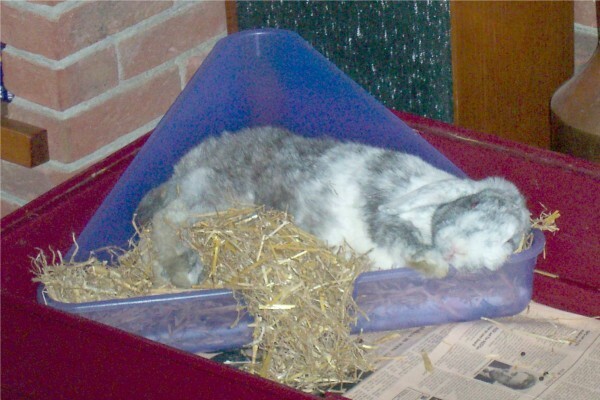 Oh-no, we hope Flopsy Girl feels better very soon. We are sure your 2foot will notice and take Flopsy Girl to see Auntie Francis.